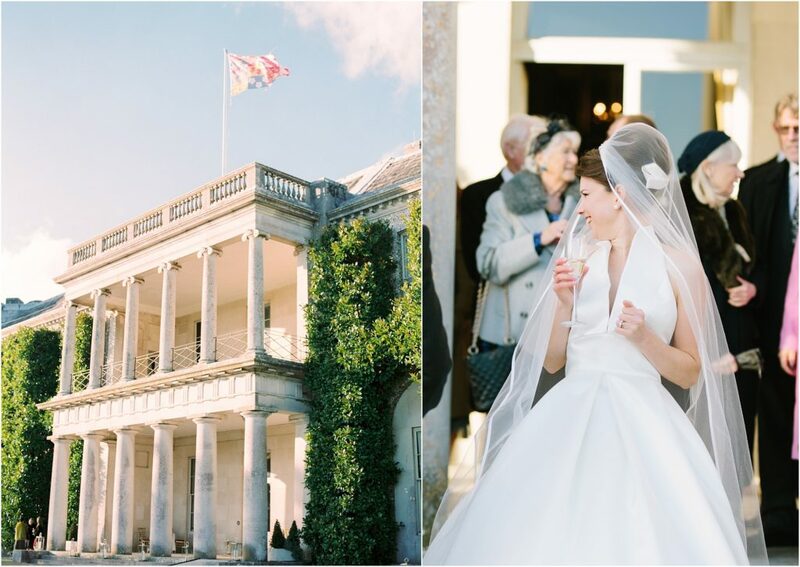 This amazing Goodwood House wedding was the first wedding I photographed in 2018 and what an incredible day it was! 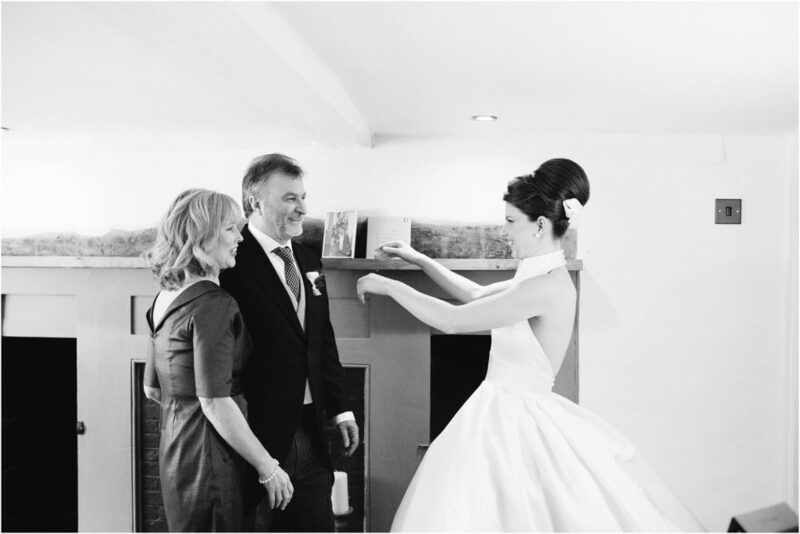 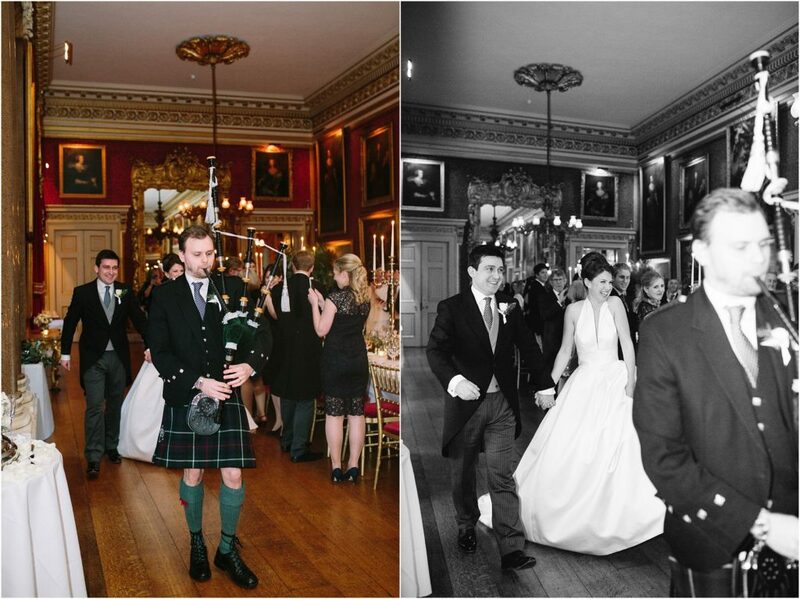 Happy first anniversary Frankie & Sam, I hope you have enjoyed reflecting on your wedding day as much as I have. 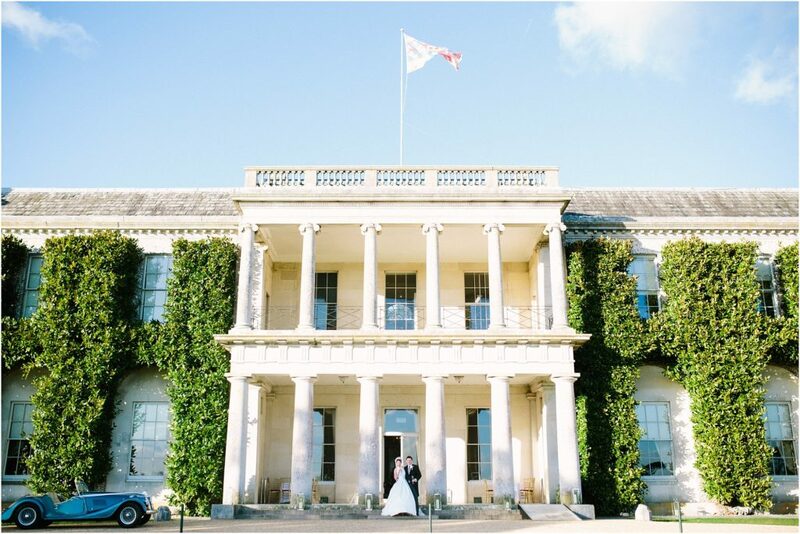 “I have been SO looking forward to sharing this Goodwood House Wedding as I think it might be one of the most elegant and opulent weddings I have ever photographed. 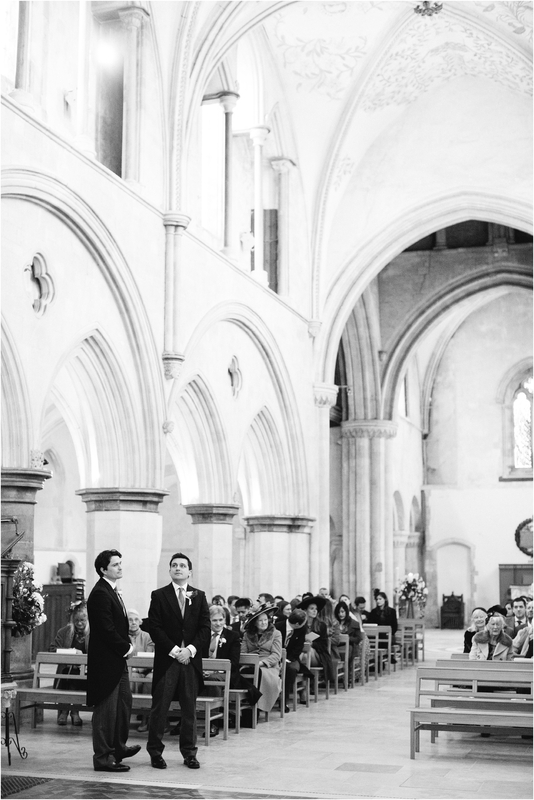 Frankie and Sam are pure class; from the moment I met them I just knew. 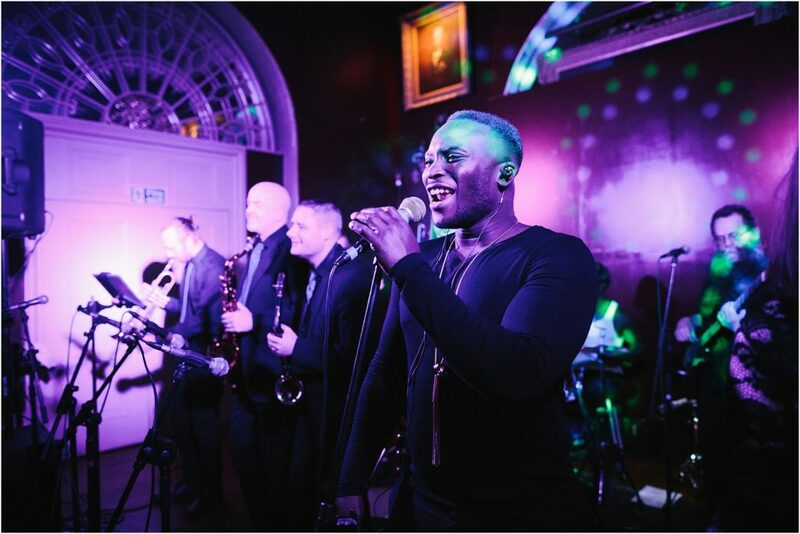 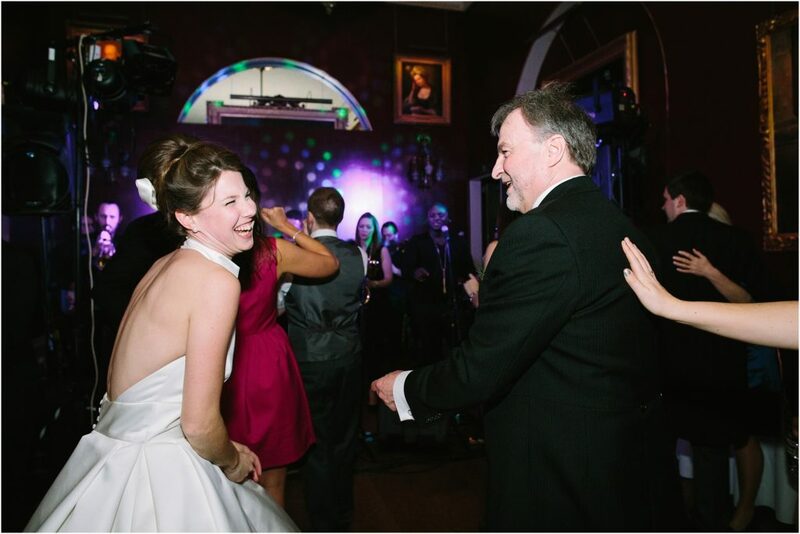 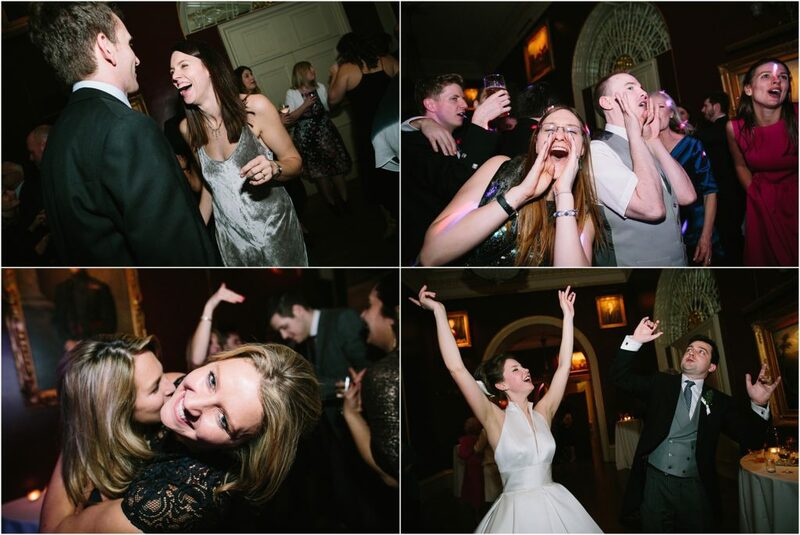 To photograph a Goodwood House Wedding has been on my bucket list for some time, so when Frankie booked me I was over the moon. 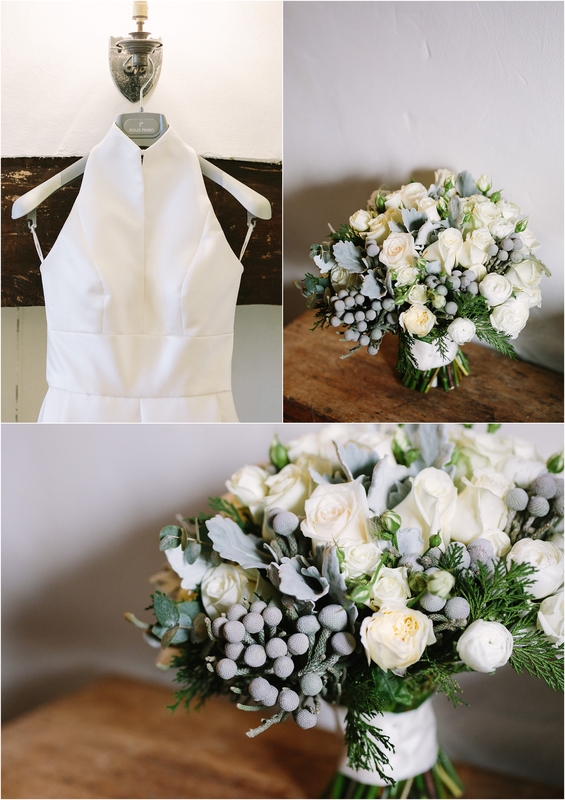 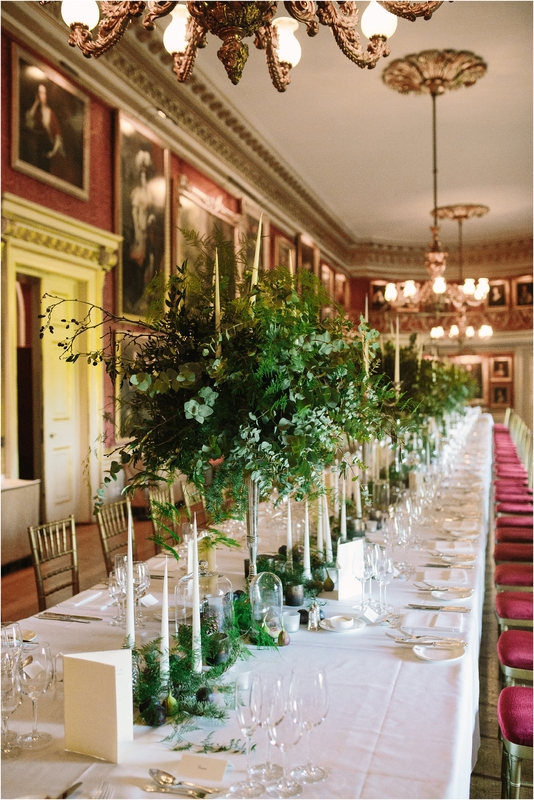 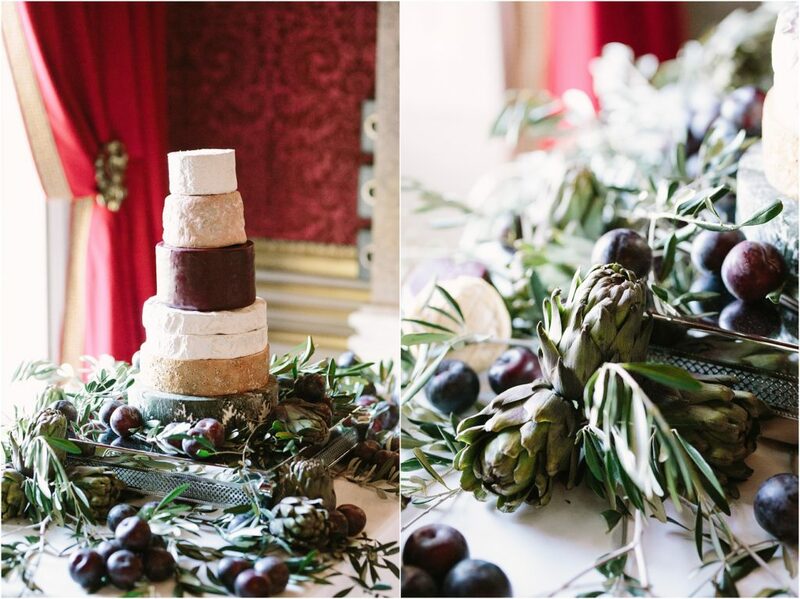 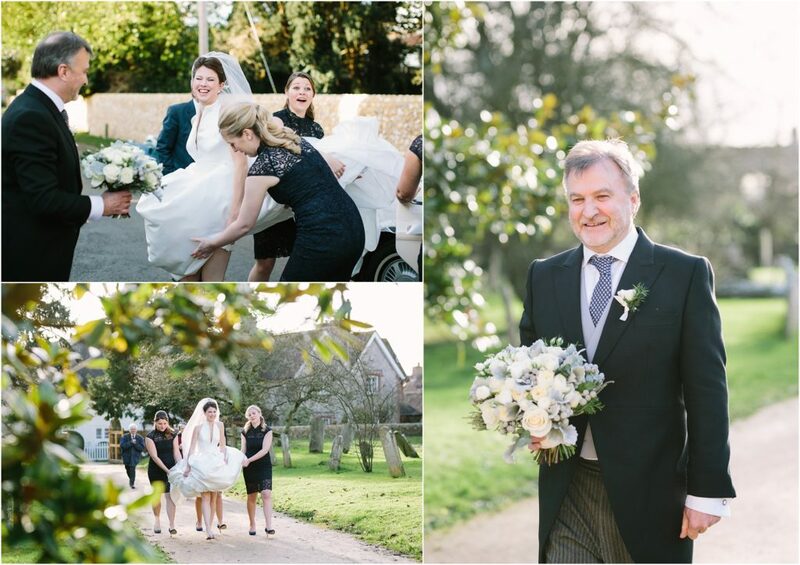 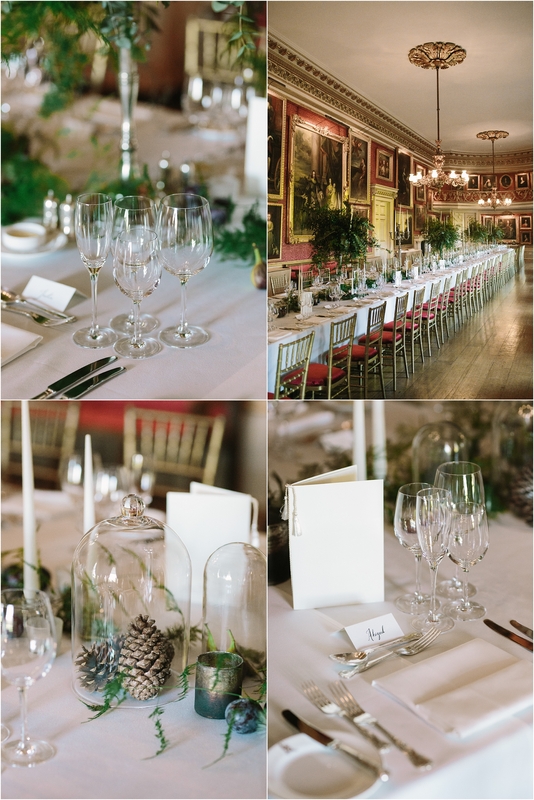 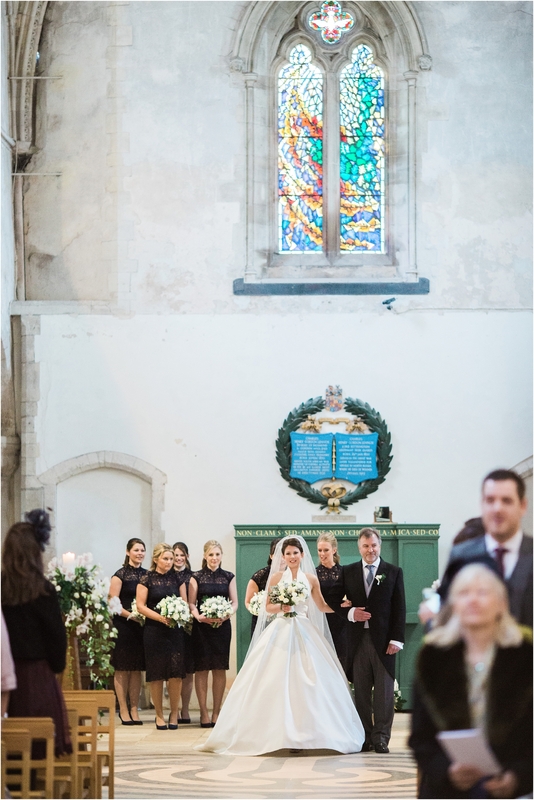 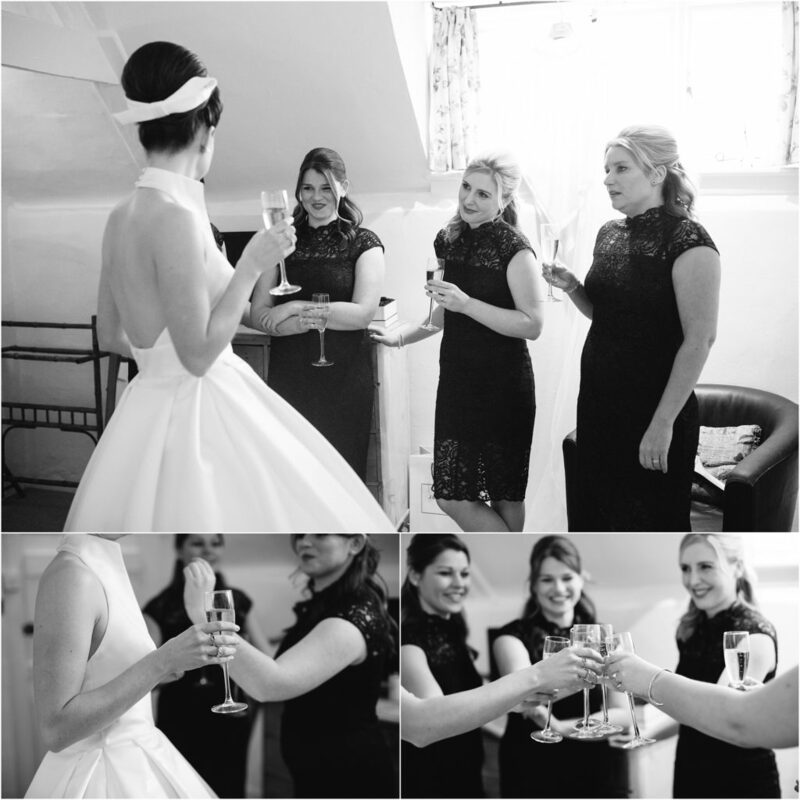 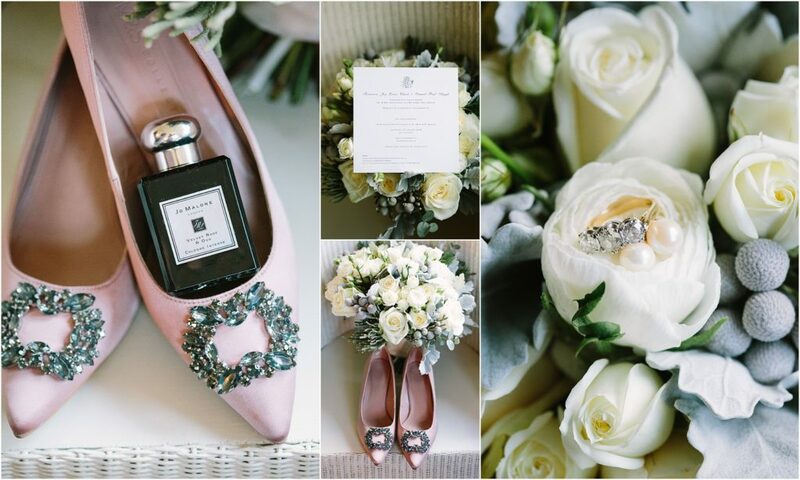 Abigail from Albert and Arthur Florists was one of Frankie’s bridesmaids and also created the wedding flowers so I knew that Goodwood House was going to look stunning. 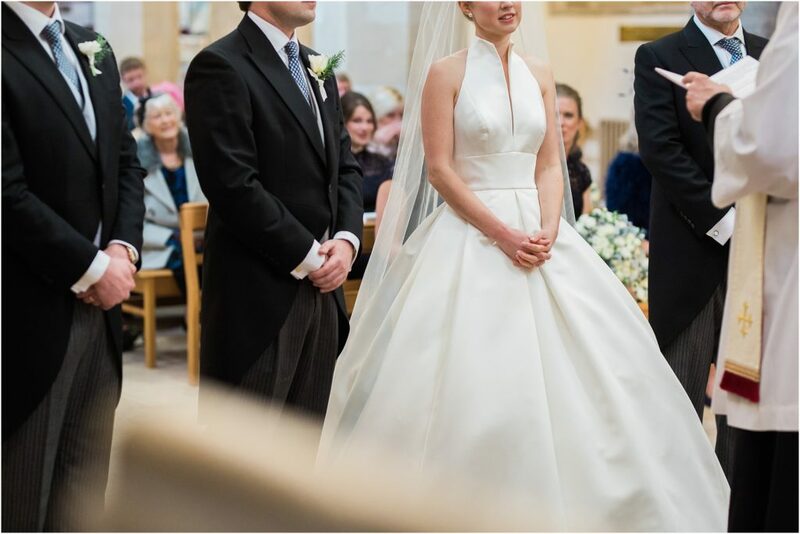 When I arrived at Frankie’s parents house and saw her exquisite Jesus Piero dress I knew this wedding was going to be beautiful on a whole other level. 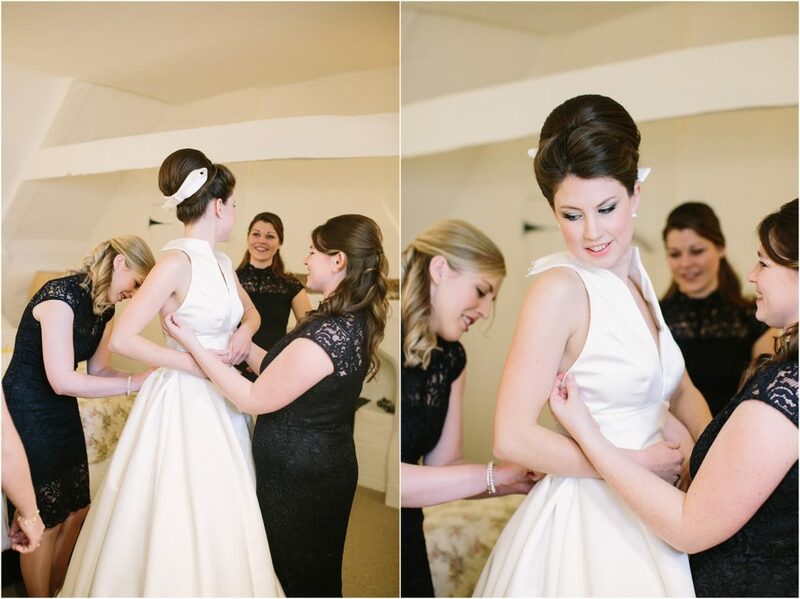 The brilliant girls from ID worked their magic on Frankie creating a simply amazing up do and a 60’s inspired make up look which perfectly complemented Frankie’s amazing dress. 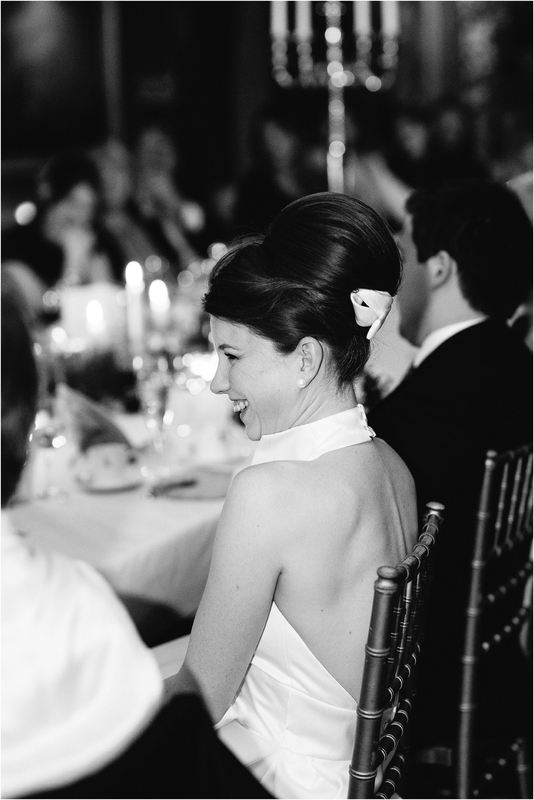 They even used a bow from the dress in Frankie’s hair to give it that ‘je ne sais quoi’. 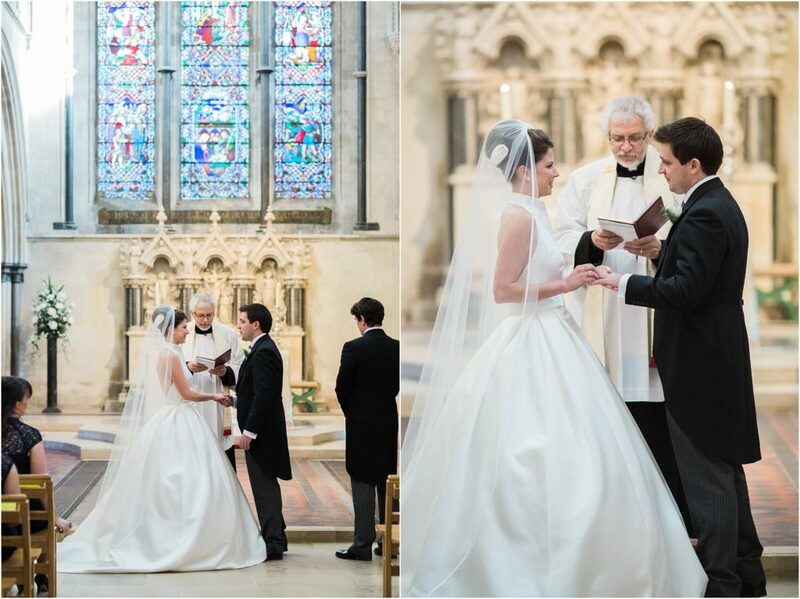 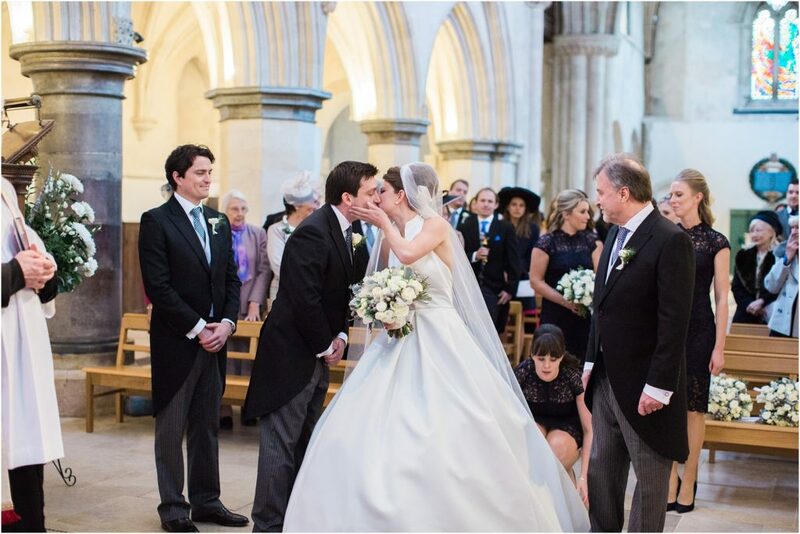 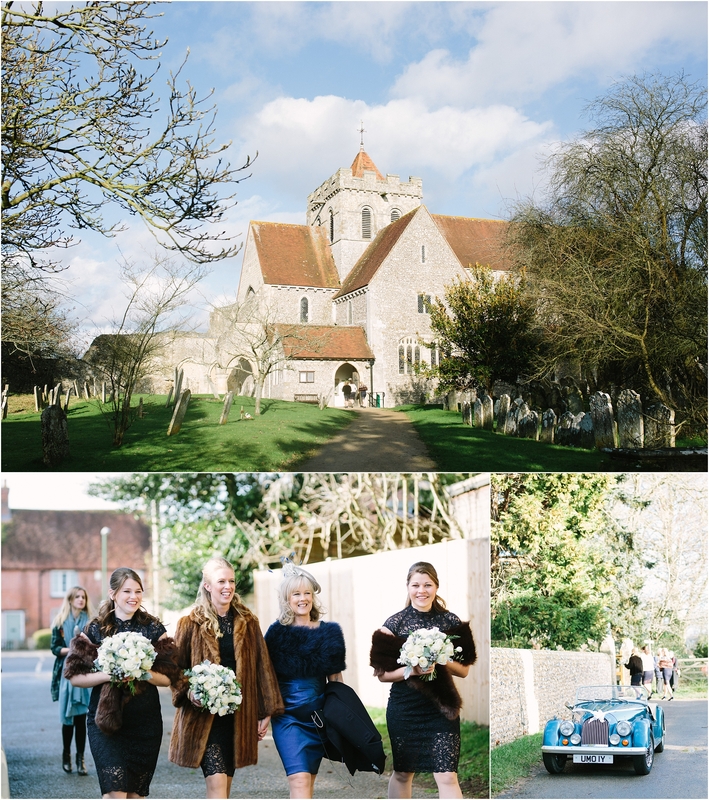 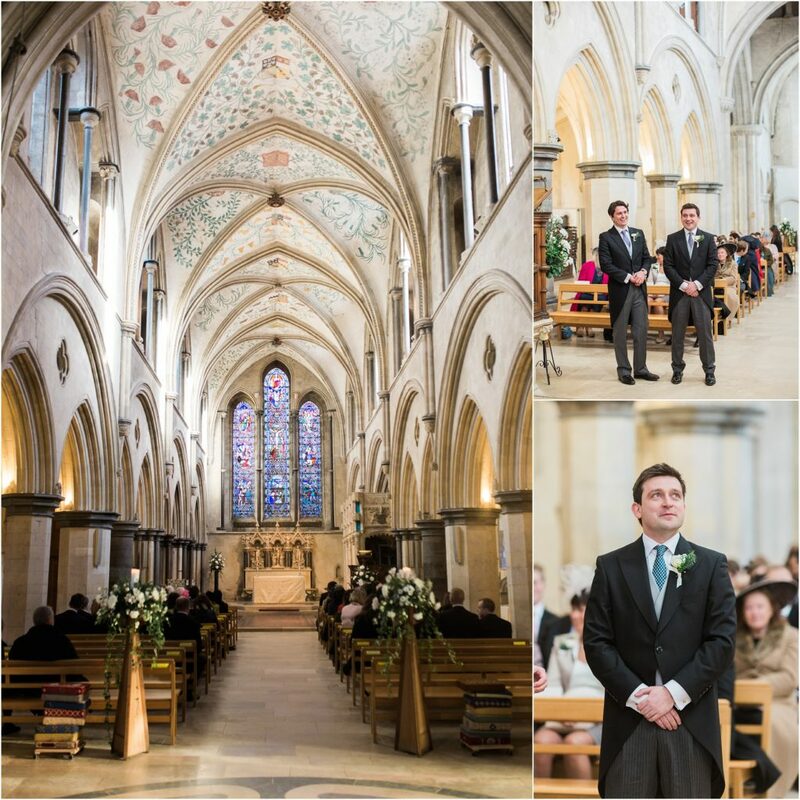 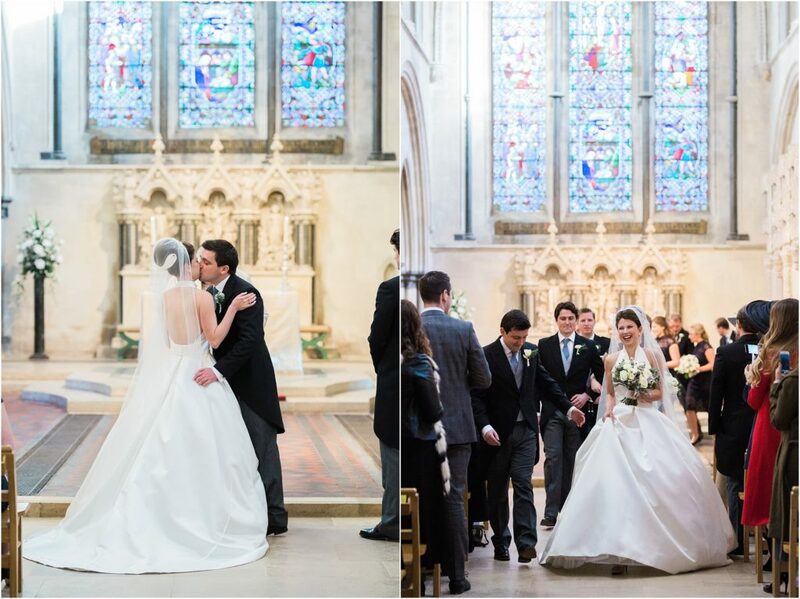 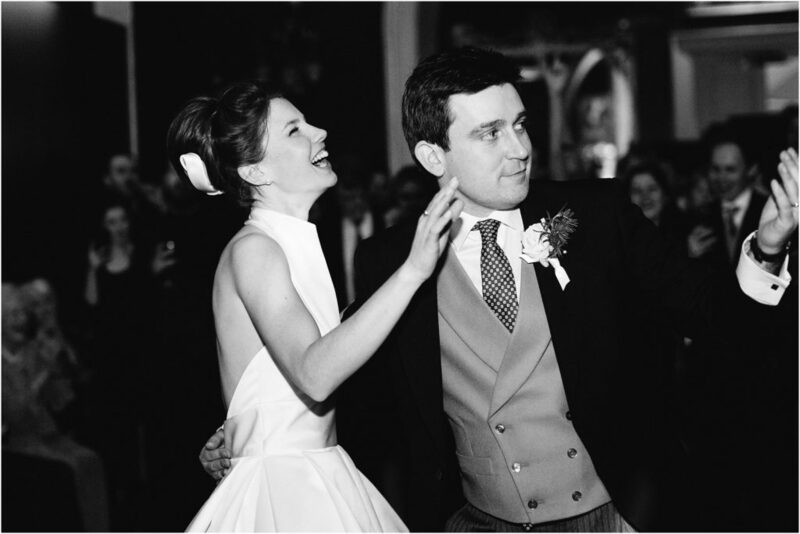 Frankie & Sam’s wedding ceremony took place in Boxgrove Priory, which was a stone’s throw away from Frankie’s parent’s house. 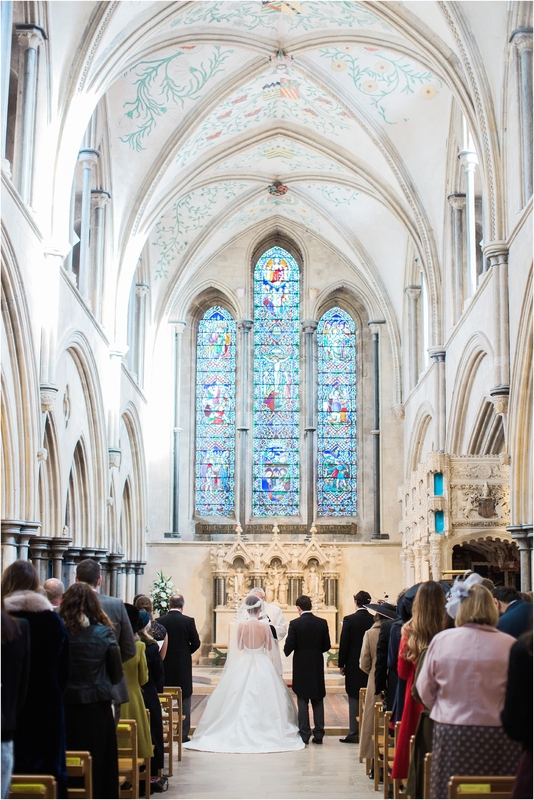 The ceremony was lovely, made even more special by the breath-taking priory, which is always such a beautiful church to photograph. 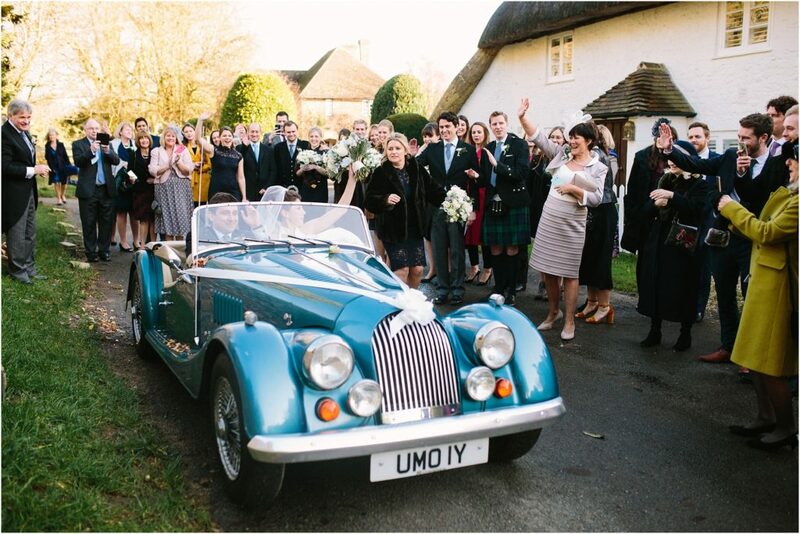 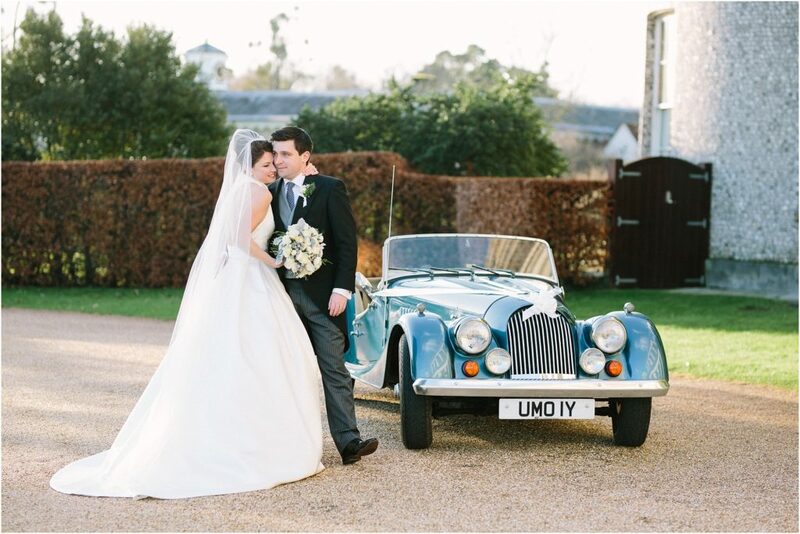 We were so lucky with the weather and the newlyweds left in glorious sunshine and set off for Goodwood House in Sam’s father’s renovated Morgan. 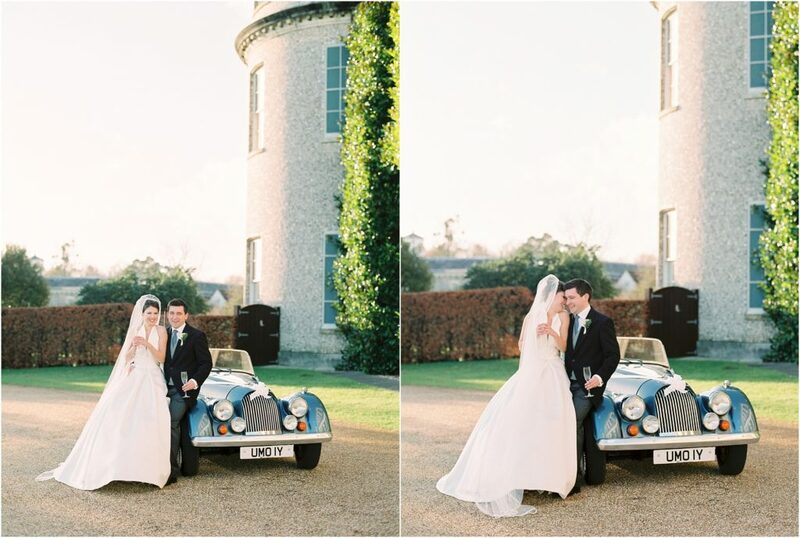 Goodwood House looked absolutely wonderful in the winter sunshine and was the perfect backdrop for Frankie & Sam’s couple portraits. 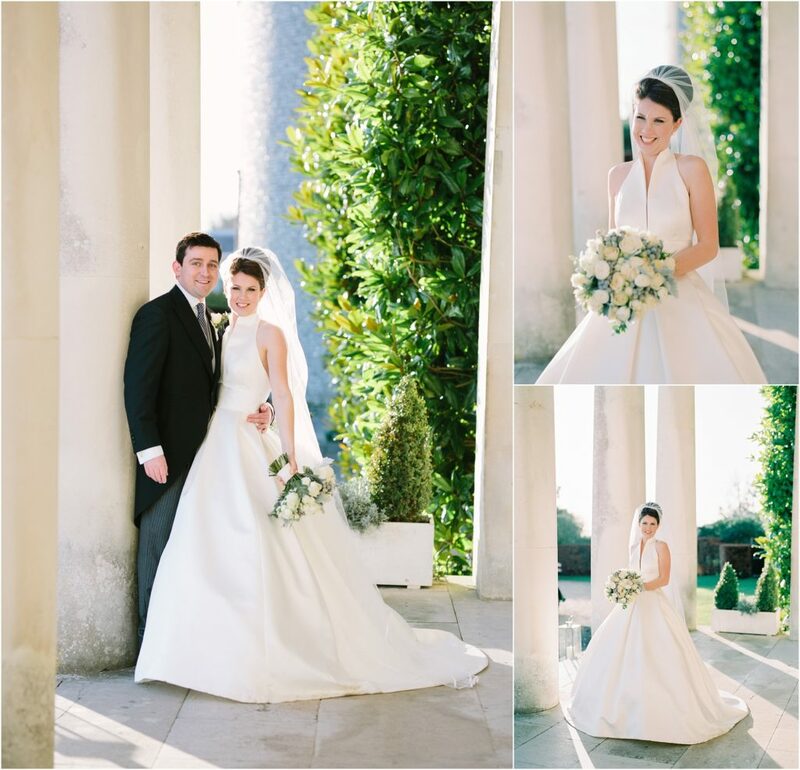 They were such a lovely couple to photograph, so genuine and happy, they made my job so easy! 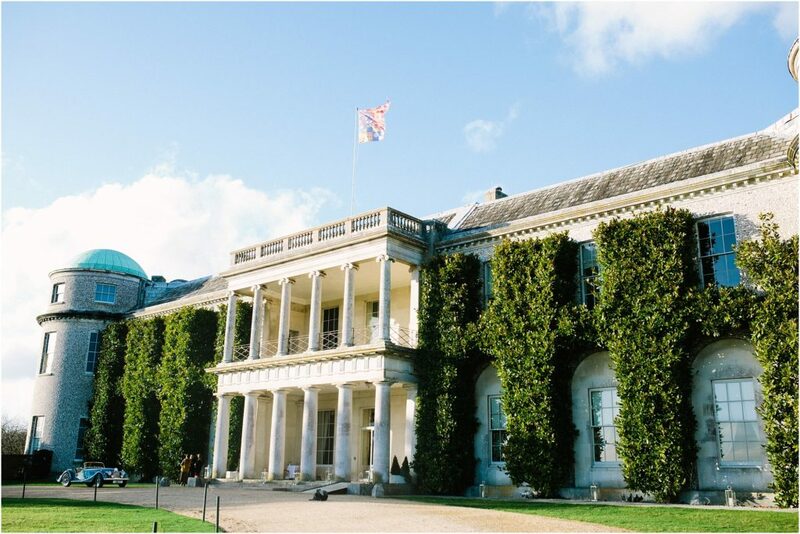 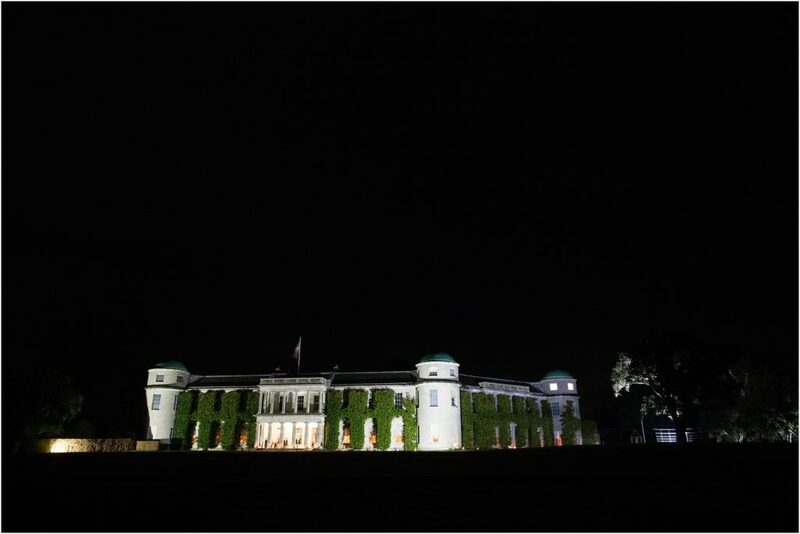 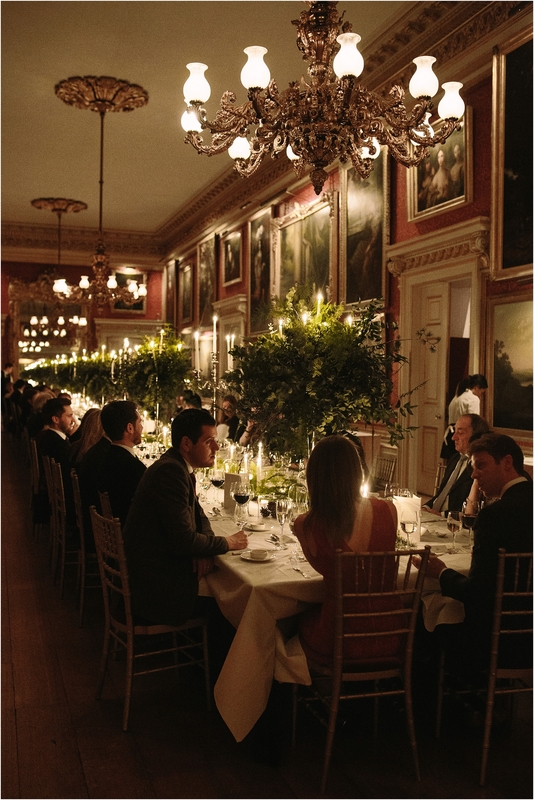 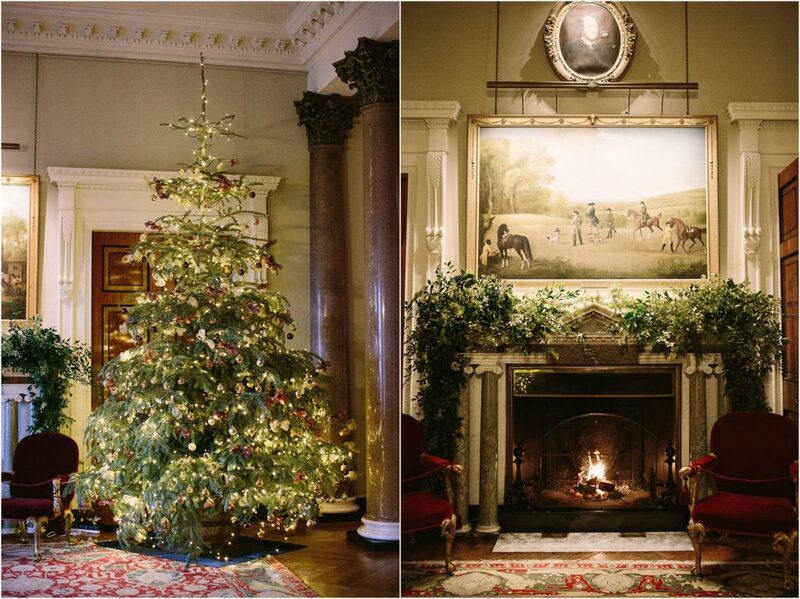 Goodwood House is such an elegant and historical building full of amazing antiques and priceless artwork. 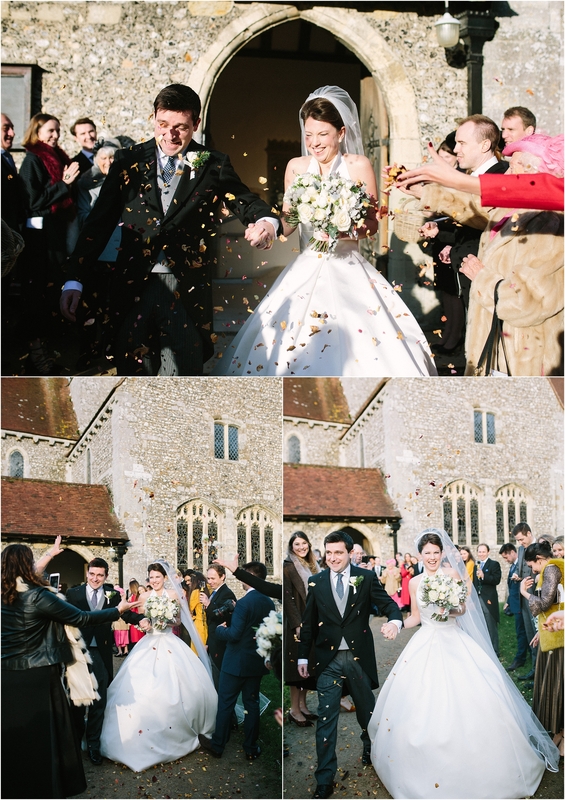 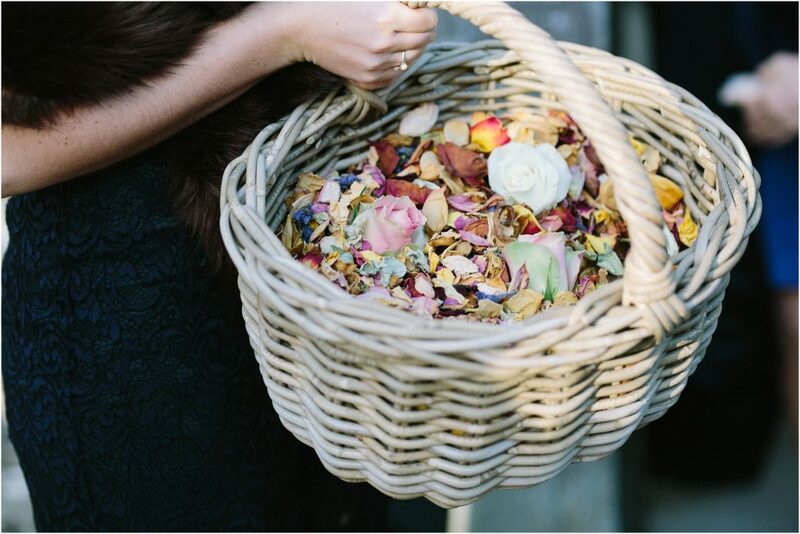 It was such an honour to photograph such a special day within. 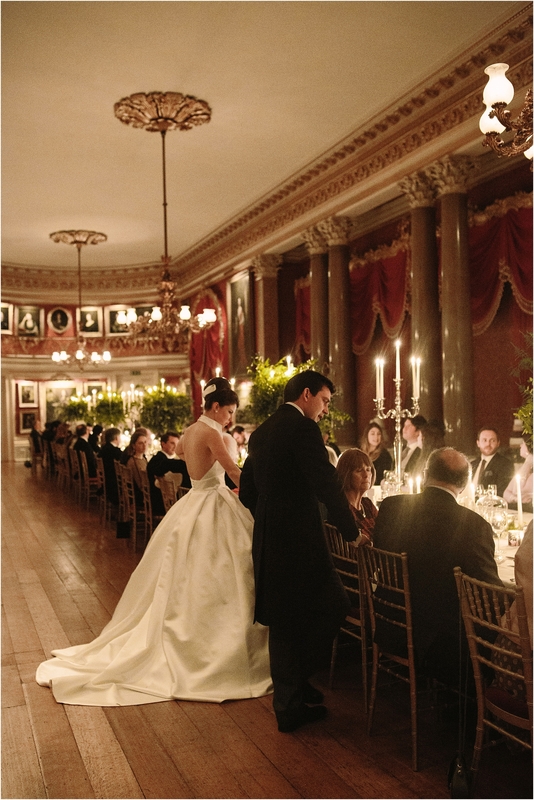 When I walked into the dining room I was honestly speechless. 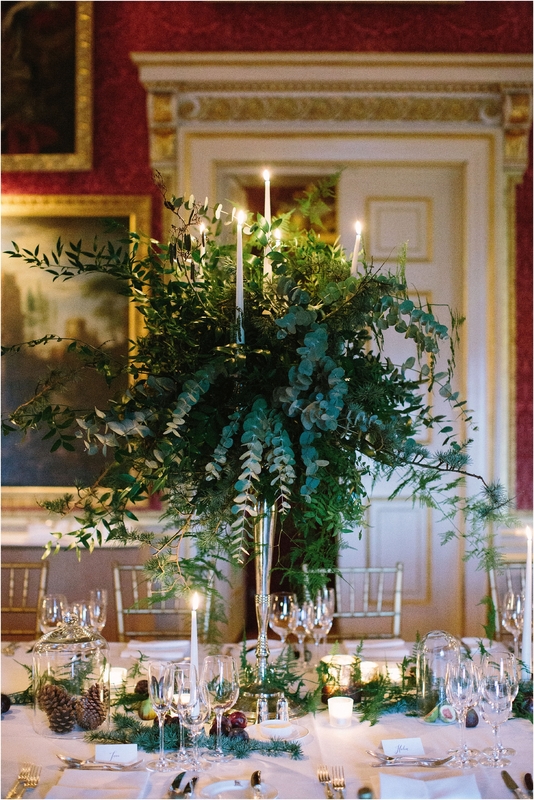 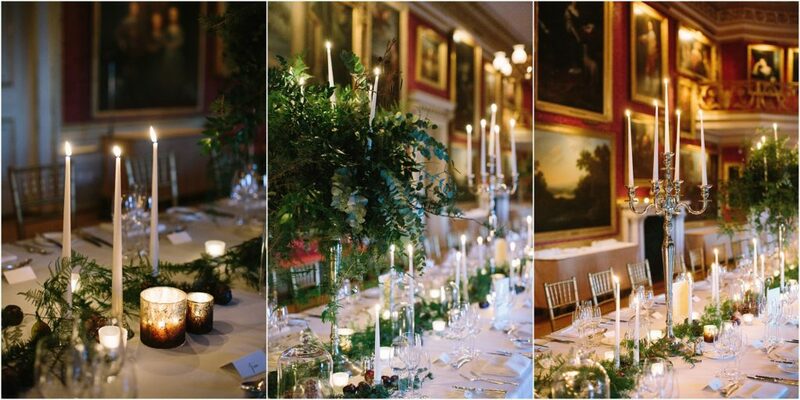 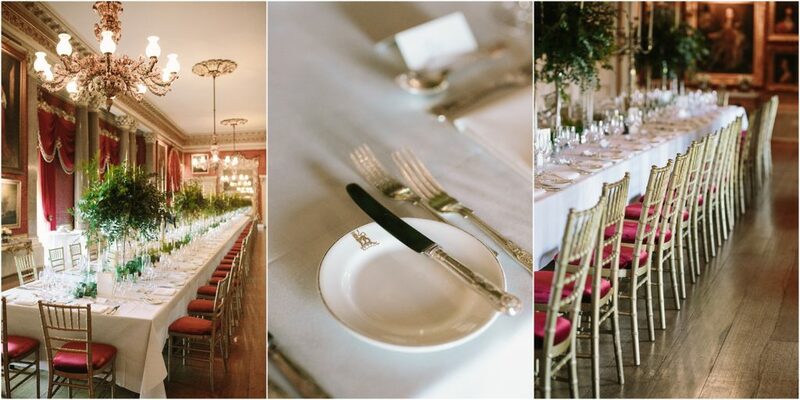 Abigail had decorated the banquet table with the most stunning foliage and seasonal fruits amongst which nestled golden candelabras with tall ivory candles. 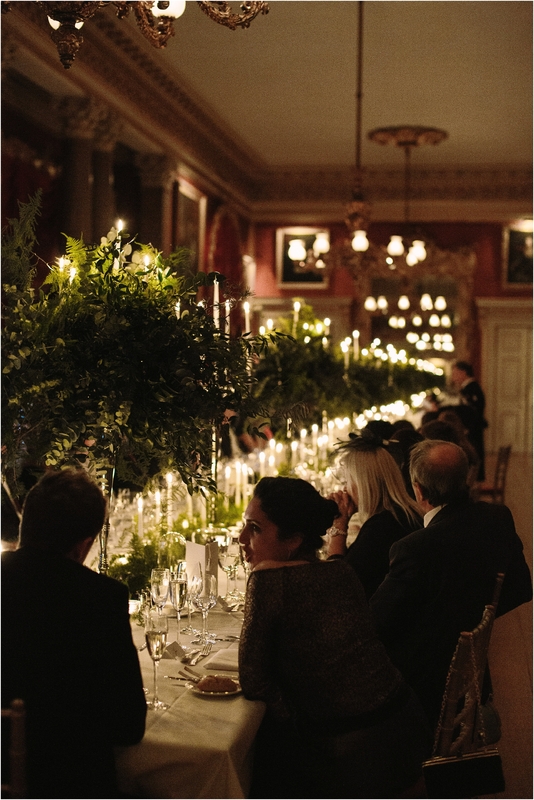 As night fell and the candles were lit there was an air of romance and glamour. 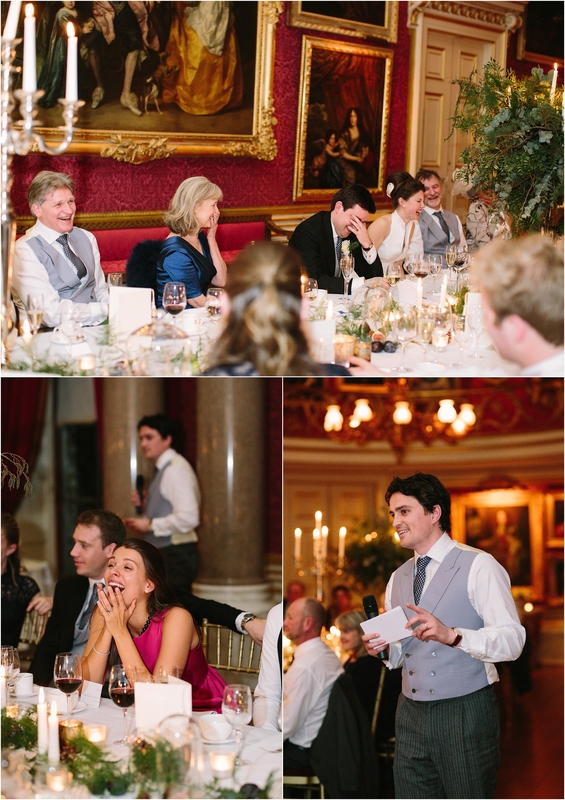 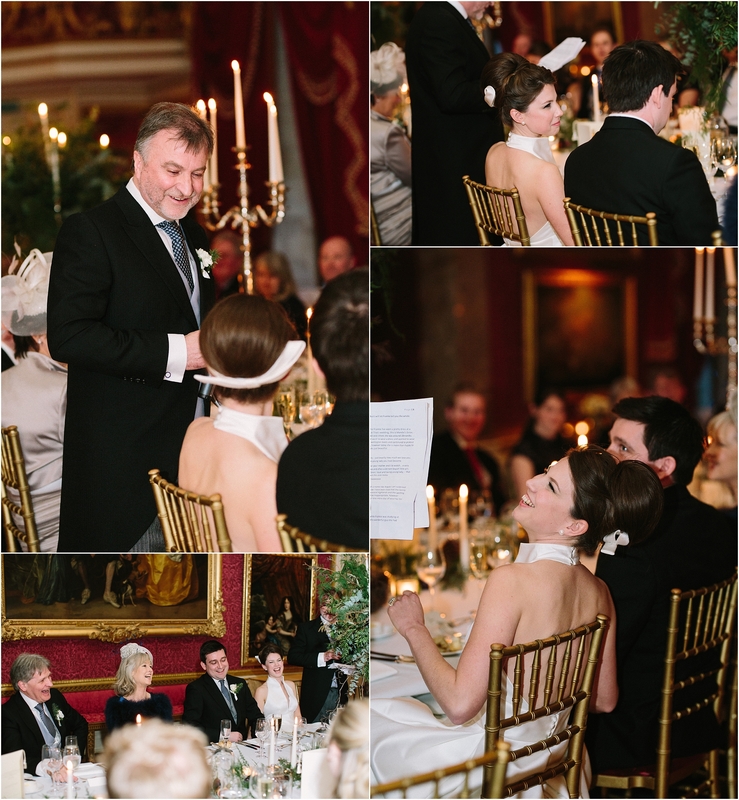 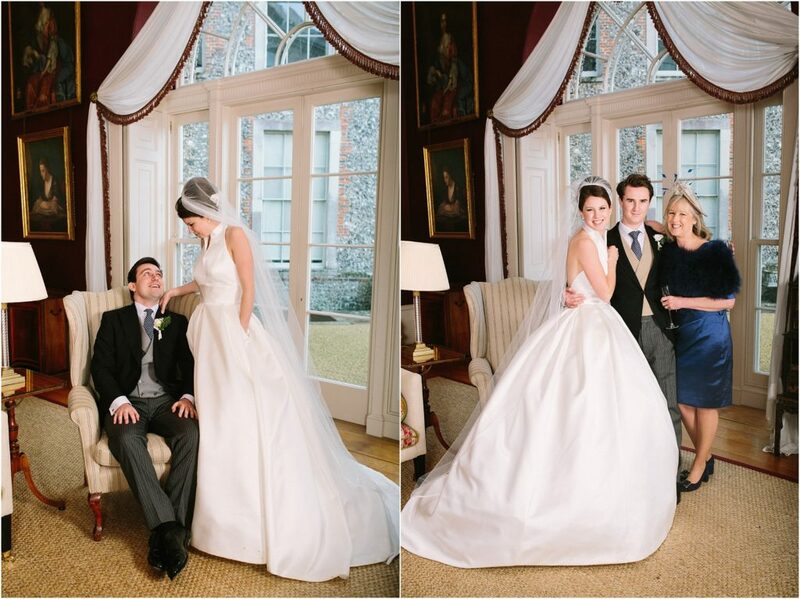 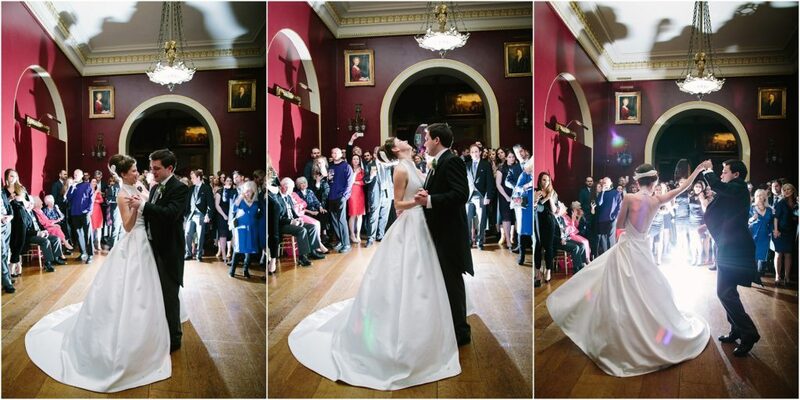 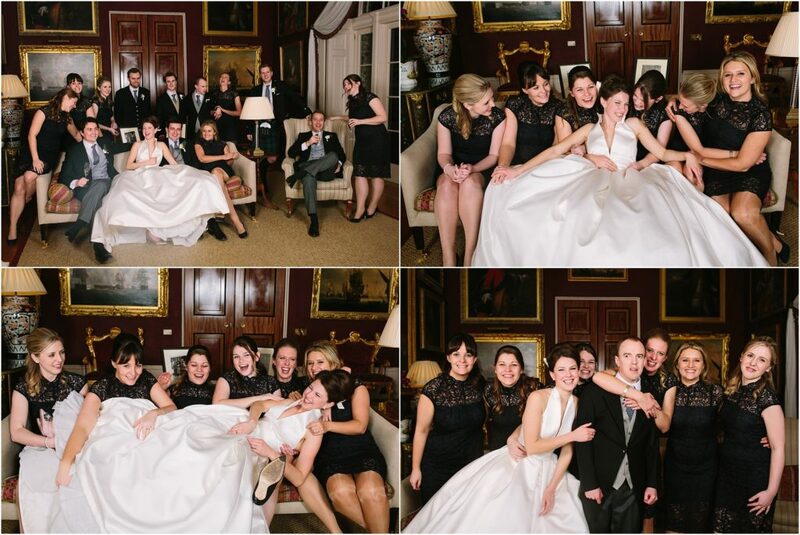 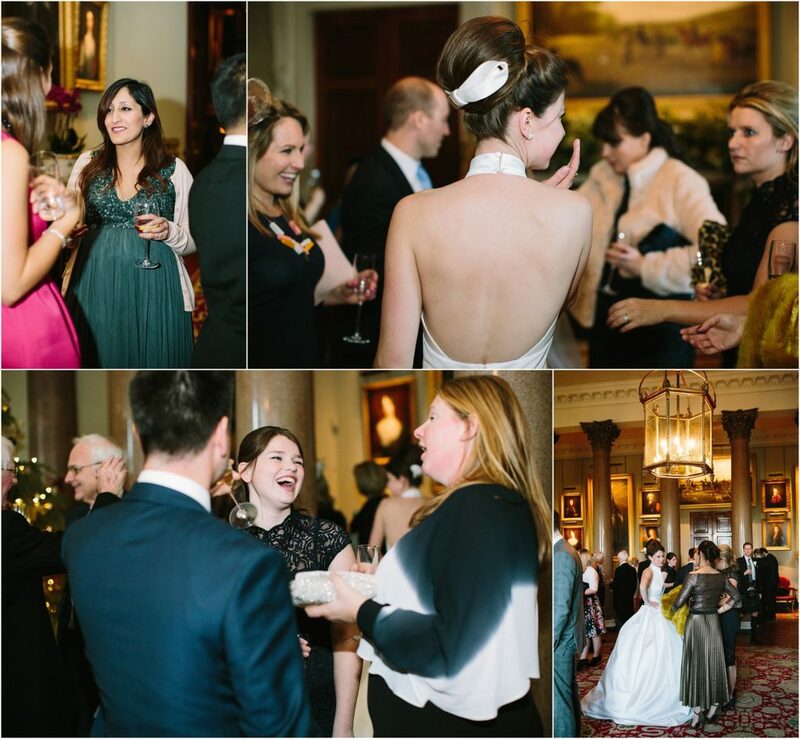 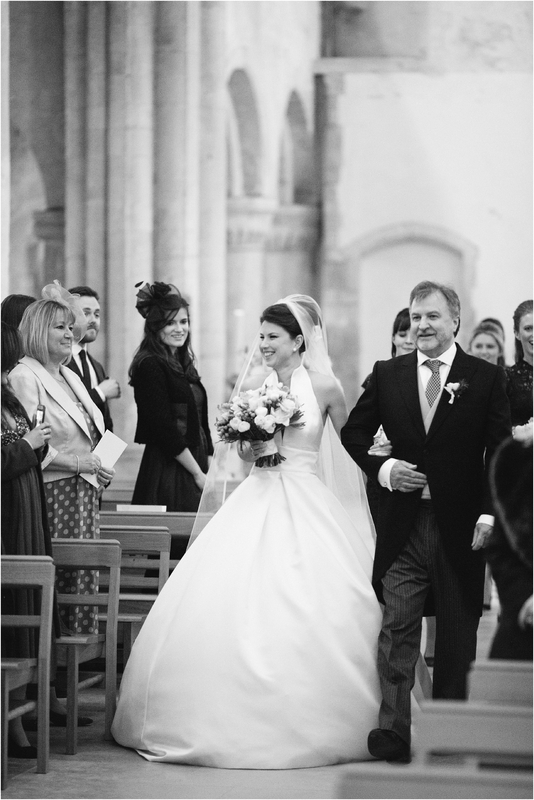 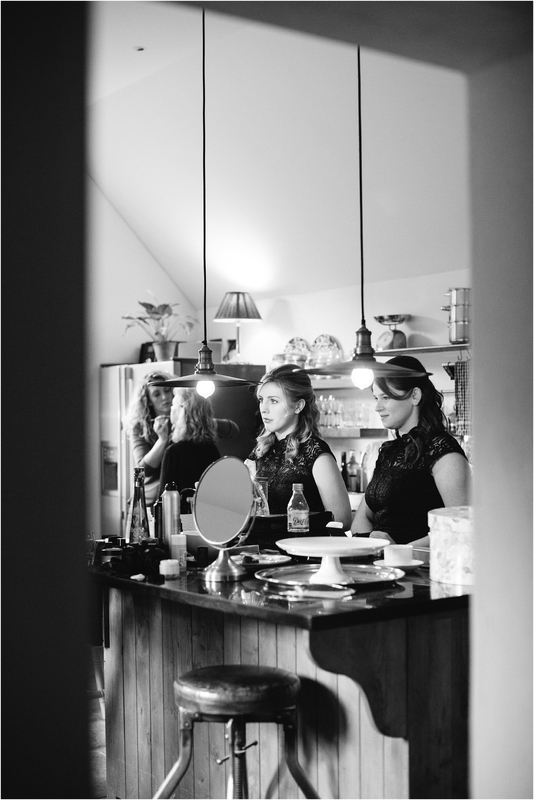 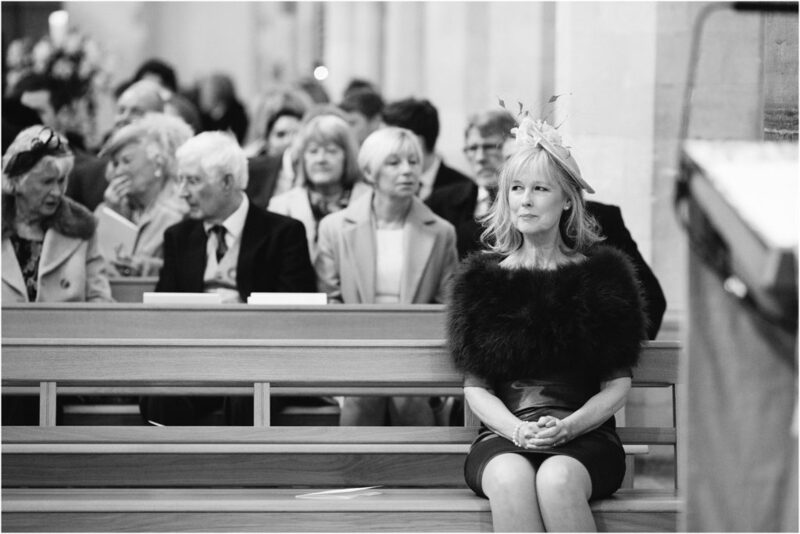 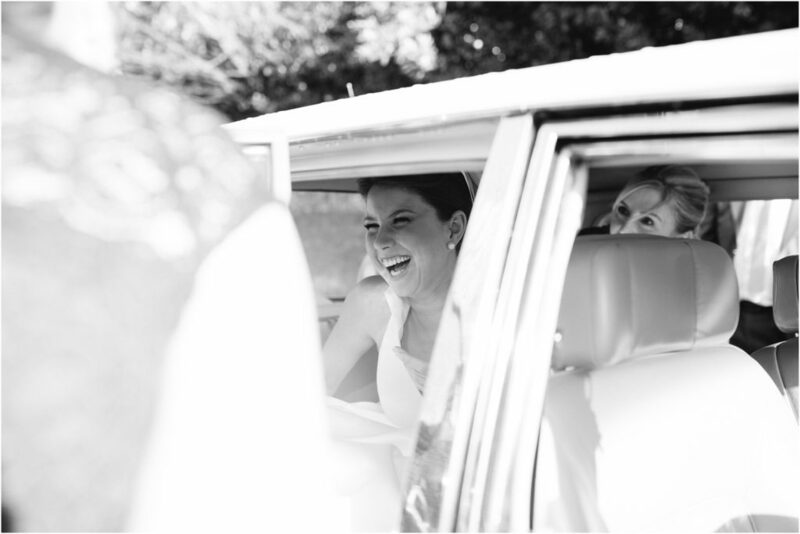 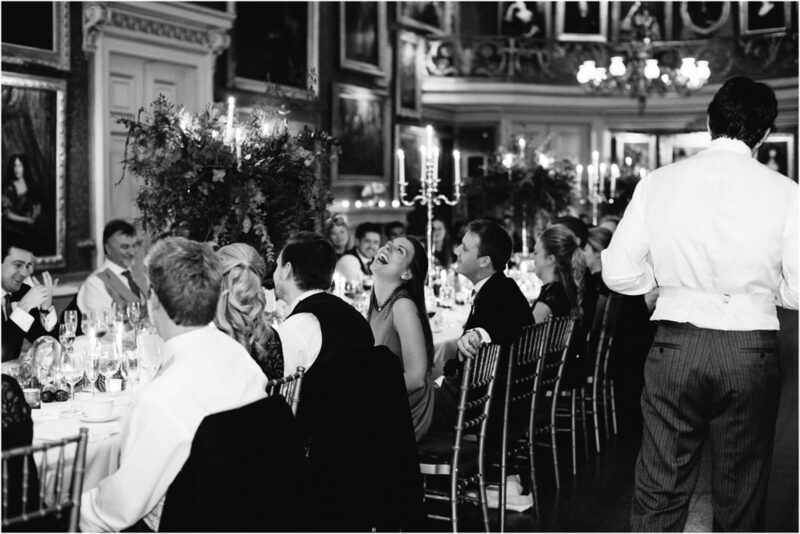 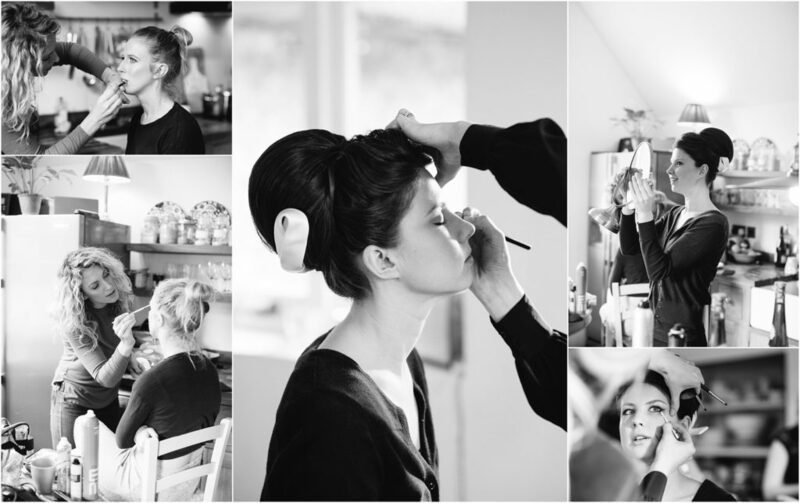 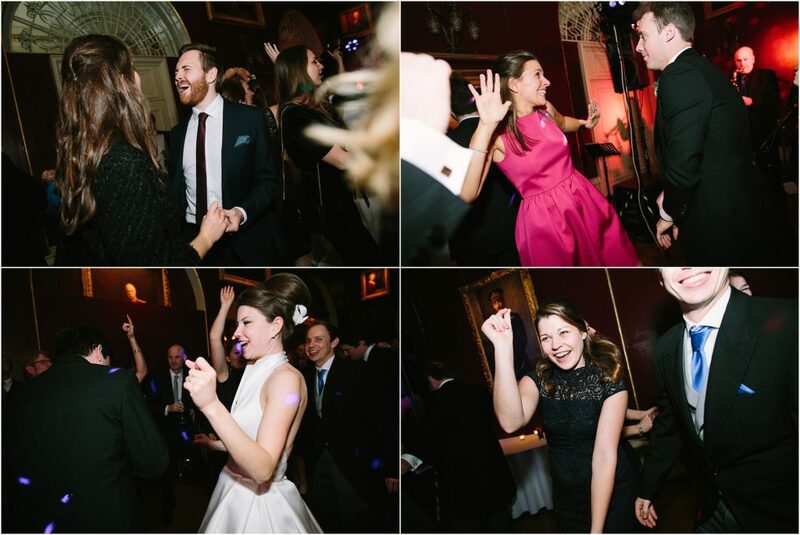 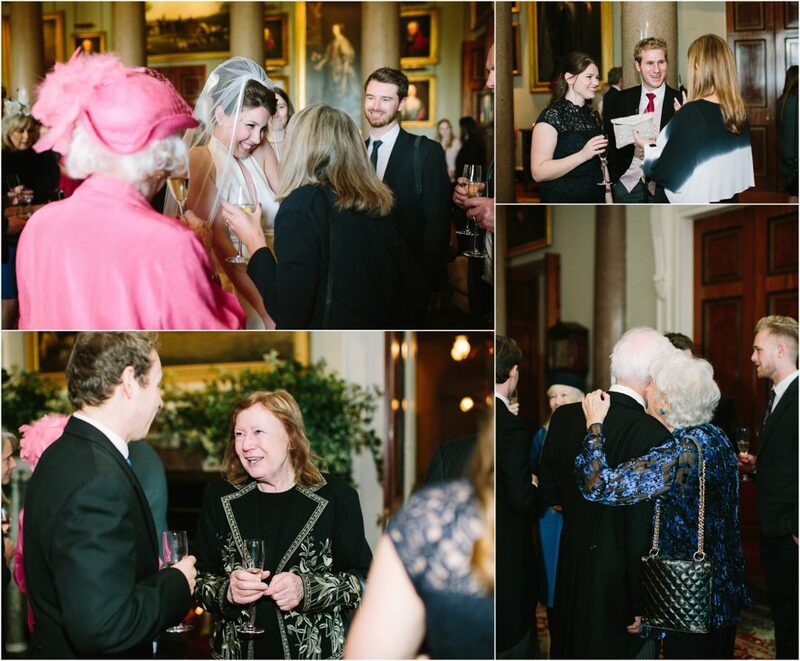 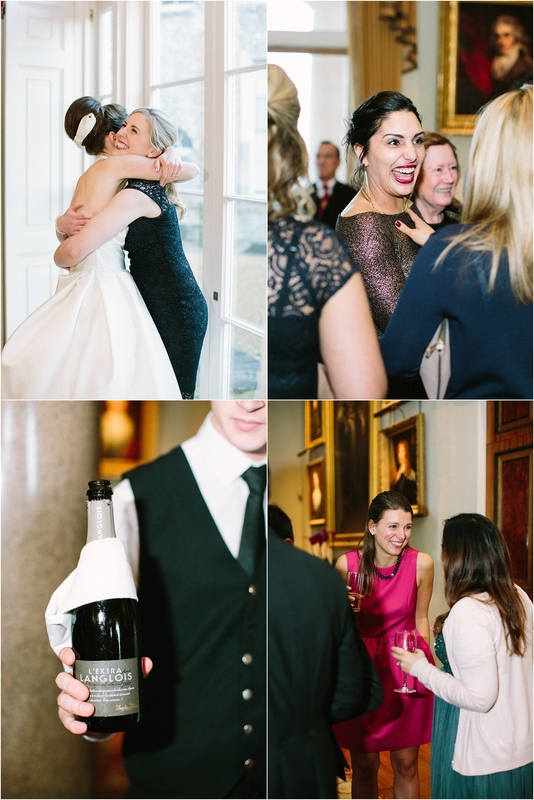 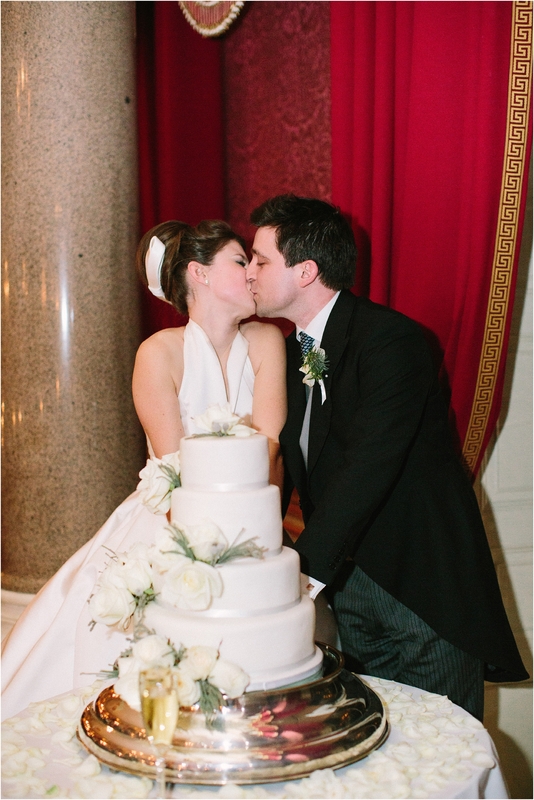 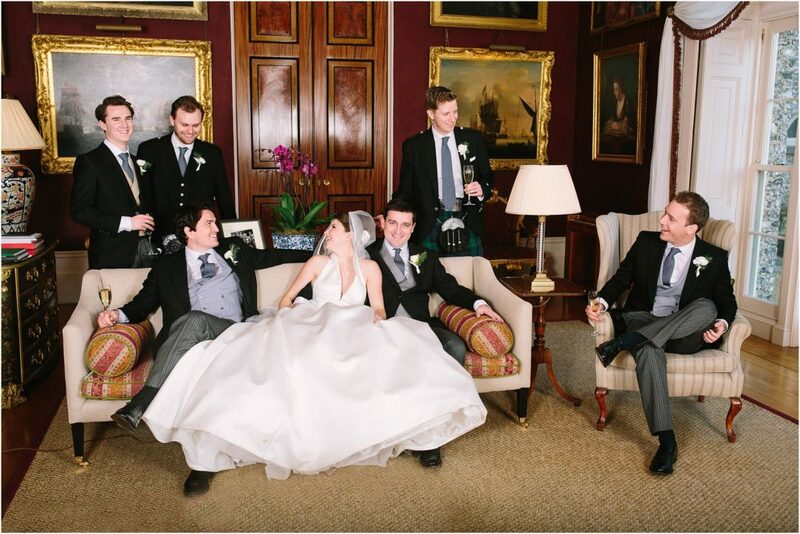 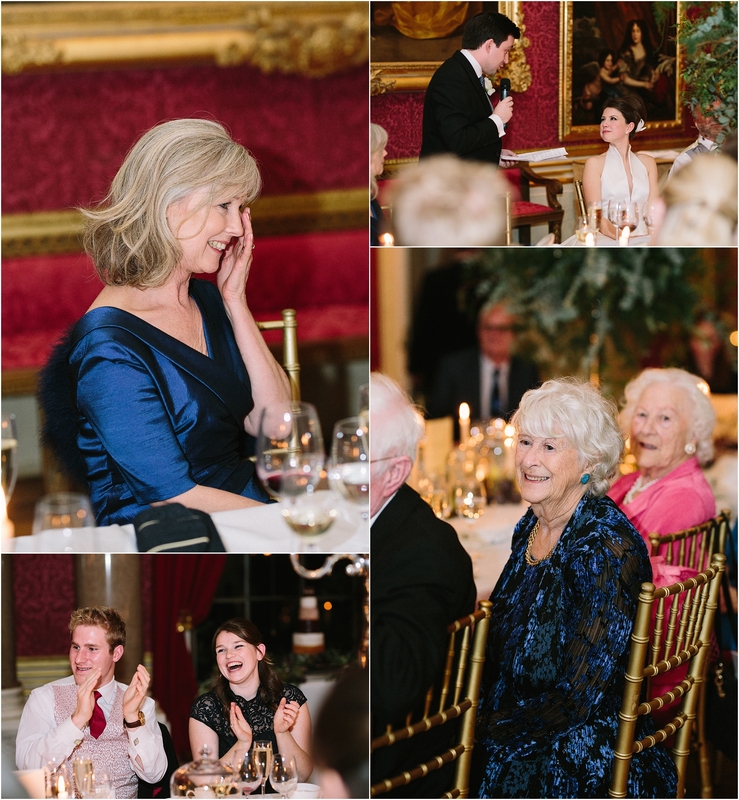 I so enjoyed capturing this Goodwood House Wedding; it’s one I will remember forever.